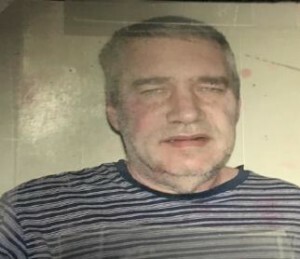 The Haverhill Police Department is seeking the public’s assistance in locating a missing 58 year old male resident of Lakeview Nursing Home, at 87 Shattuck St. in Haverhill. Nursing home staff reported that resident David Risch notified staff that he was going for a walk yesterday, (10/19/17 at 2 pm), and hasn’t been seen since. Risch is described as a white male, 58 years of age, 6 feet tall, weighing approximately 220 lbs., with gray hair and blue eyes. He was last seen wearing a pink/red shirt. If anyone sees Mr. Risch please call your local police department and the Haverhill Police at 978 373 1212. Please see the attached picture of Mr. Risch. This poor guy has had a hard life. His mother “mysteriously” disappeared when he was but 2 years old. Check out the story of Joan Risch who disappeared in 1961 from Lincoln,Mass. It is a very sad story. jmo01830, thank you for the information, there is a Wikipedia page about his mom. Such a sad and mysterious story. I hope David is found safe right away. I am so glad he was found. I have followed his mom’s case for several years now. I don’t know what happened to David, but I hope he will be getting the help he needs. His sister lives out in Washington state, I believe.